Willie is a prolific songwriter and entertainer, and one country's most notorious "outlaws." His Farm Aid concerts generate much-needed funding for American farmers, and his yearly "Picnic" concerts draw audiences from all over the country to Austin. He has fans from every walk of life and appeals to all ages. He remains one of the most recognizable faces and voices in country music. 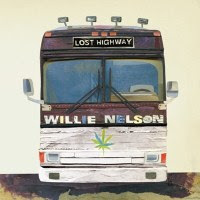 Willie is an outspoken supporter of legalized marijuana, he tours North America in a bus, donating time and money to worthy causes as he and his band travel the continent. Willie's band is always an evolving mix of old friends and new talented kids that Willie befriends-mentors as the show rolls on. 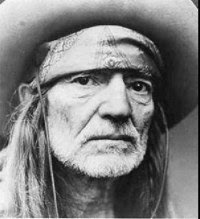 At 75 years old Willie, poet-philospher-musican and another of my heroes, is going strong, his latest alblum 'Lost Highway' is great.